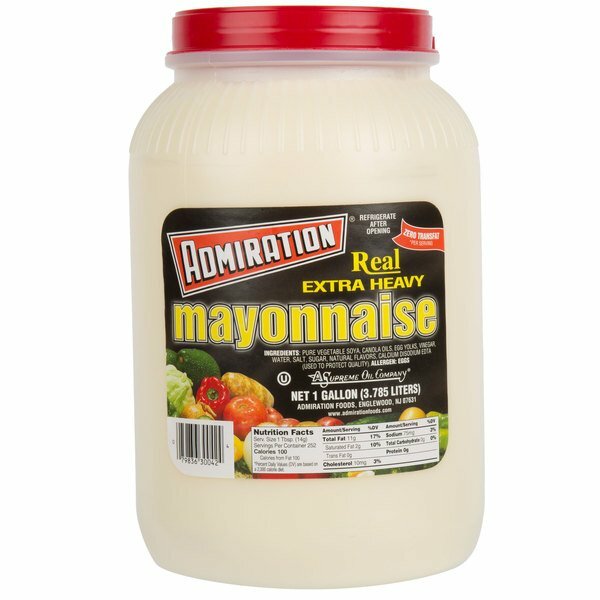 Use Admiration's extra heavy mayonnaise to add a rich, tangy taste to a variety of your recipes. Great for a wide variety of classic recipes, from creamy tuna salad to decadent pasta sauce, this extra heavy mayonnaise is the perfect ingredient or stand-alone condiment. Rich in taste and creamy in texture, it easily enhances countless dishes and pairs well with spices and herbs for easy, extra bold sauces or spreads. It's even packaged in a 1 gallon container for bulk use applications. "This mayo is really creamy and thick and it worked perfectly in our recipe for white BBQ Sauce. Highly recommended and will definitely purchase again!" 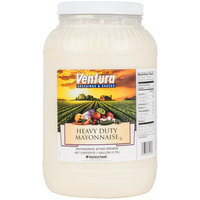 Its extra thick and creamy texture is especially great for making potato, macaroni, chicken, and tuna salads. Use it to top off a classic club sandwich or burger, or use it to whip up delicious crab cakes and deviled eggs! Mix this extra heavy mayonnaise with your own blend of spices to create dips, sauces, and spreads for any occasion. 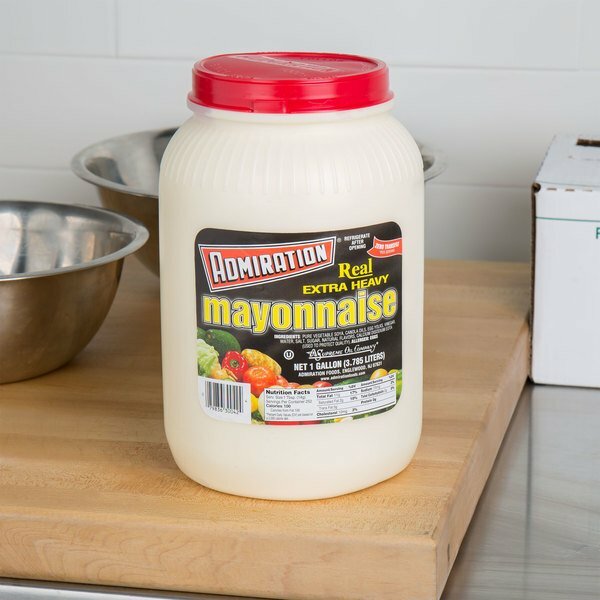 In a bulk, 1 gallon container, this mayonnaise is perfect for your deli, sandwich shop, salad bar, diner, or commercial kitchen. Plus, the gallon jar with a resealable cap is easy to store for future uses. Featuring a traditional taste and smooth consistency, it is a versatile ingredient for a variety of recipes. 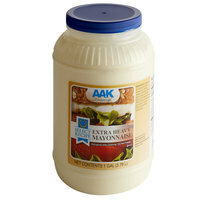 Stock up on this rich, creamy mayonnaise, and enhance the flavors and textures of your classic entrees and appetizers. This mayo is really creamy and thick and it worked perfectly in our recipe for white BBQ Sauce. Highly recommended and will definitely purchase again! 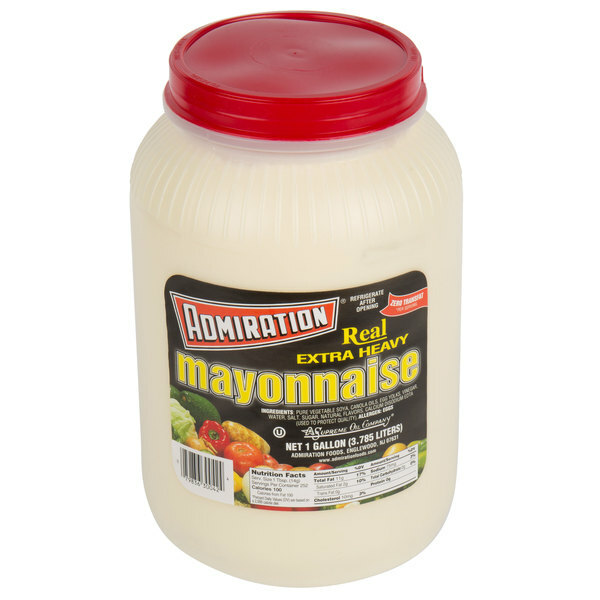 Customers rave about the taste of the mayonnaise--it mirrors what some people call "Dutch mayo" in that it contains more egg yolk than a typical consumer spread. The container is not designed for individual shipping, so the top had leaked upon arrival. Thankfully, the price is right and the size is enormous, so a small leak does not affect this product.